To offer customers a seamless online shopping experience, you must learn who your audience is and how to best serve them. And brands with the best ecommerce websites know how to use the data they have about their customers to create a dynamic, memorable experience. It’s vital to give shoppers more options on a polished, easy-to-navigate website. And well-designed digital real estate can set you apart from the colossal number of websites competing for the same business. You have the ability to create an industry-leading website — even if you’re running a small company. Begin by learning which commonalities successful websites share. Then tailor your website to have the same qualities while still holding your unique branding efforts. To help you get started on your journey to a more impressive website, take a look at these three examples of traits the best ecommerce websites share. 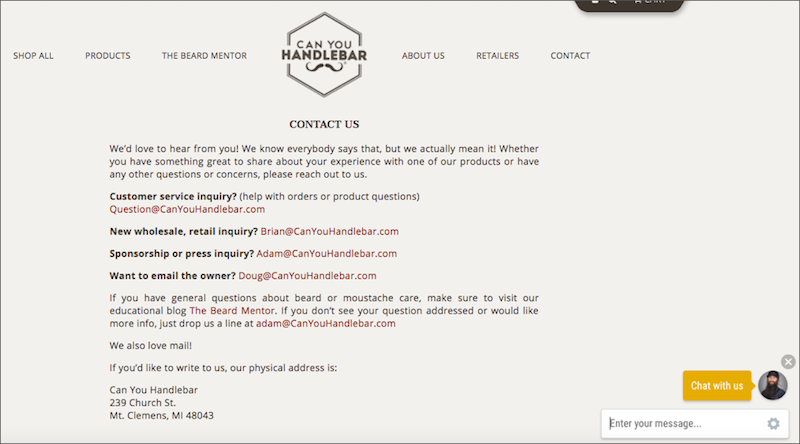 The most successful ecommerce brands design their website without unnecessary clutter. They make shopping easier by solely displaying simple-to-find, vital information. SPS Commerce found that 28% of customers think product pages can make or break a sale. So it’s important to display concise, easy-to-understand details along with additional benefits of the product. Websites that use digestible language such as Reformation can increase traffic and make an impact on their sales. Companies who have effective ecommerce websites give their customers the resources they need, where they expect to find them. Shoppers expect a connection from the moment they first interact with a website. According to Forbes, today’s customers are more in control and up-to-date on the latest ways to conduct business. They know what options they want and the customer service they need to feel confident on a website. Pro Tip: Improve your local ranking on Google by engaging with customers and responding to reviews. Here’s an example from a ShipStation user, Can You Handlebar. The brand provides superb customer service by listing multiple points of contact. Whether you have questions about your order or products, need information about wholesale purchases, or are interested in sponsorships, they have you covered via email or live chat. However, customers don’t only expect to find what they are looking for on the contact page. Best believe it all begins on the glorious homepage. 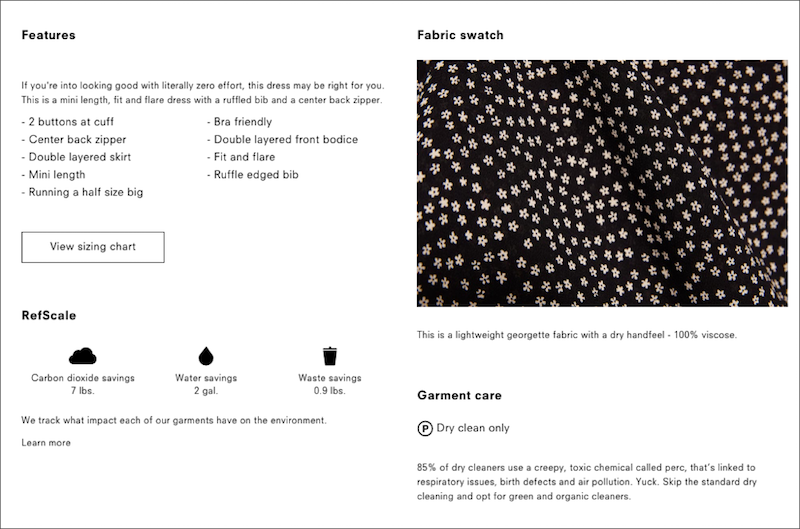 The best ecommerce websites use their navigation bar to help customers immediately. Shoppers have quick access to what they need, whether they are browsing or have a specific objective. Their navigation bars are clearly labeled and easy to understand. They included their blog, story, charity initiatives, news, products, and contact information. Customers can learn about Kutoa’s products and join the retailer’s efforts to combat child hunger. By educating and connecting with customers, Kutoa doesn’t just sell – it empowers. The best ecommerce websites don’t just tell you about their product and how it can benefit you. They tell you why the brand is working so hard to deliver a product that solves a problem. And more importantly, why it matters. Successful ecommerce websites trade their sales and marketing pitches for a compelling narrative. They help customers learn more about their company and engage with the brand. 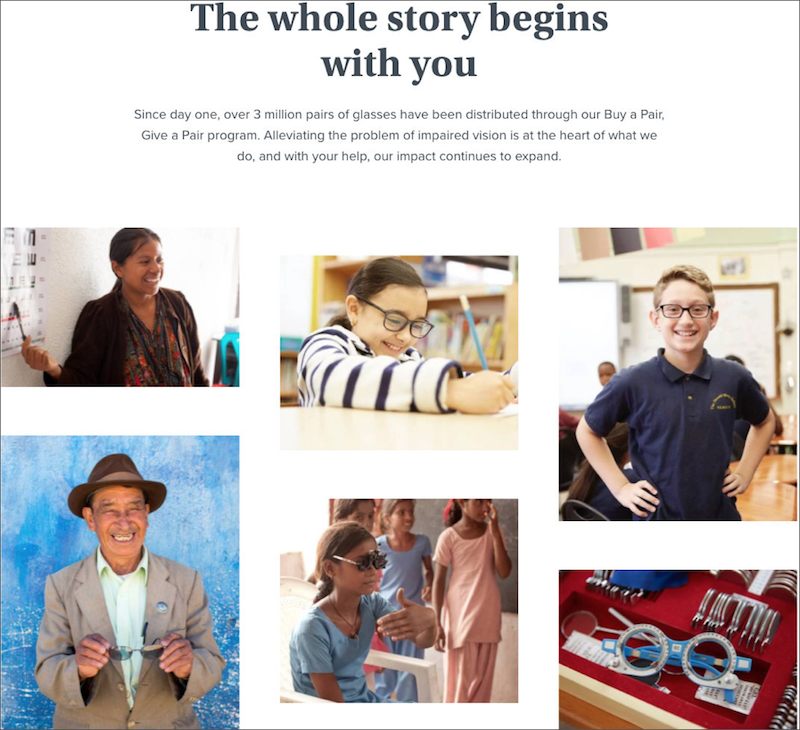 Warby Parker uses its storytelling ability to evoke ideas, thoughts, and emotions. They say 2.5 billion people worldwide need glasses but don’t have access to them. But the problem doesn’t just stop there. Their visual impairments affect their ability to learn or work, and this is why Warby Parker set up a solution. Now that you’ve learned what the best ecommerce websites have in common, you can take a closer look at your own website. You now have the know-how to make a larger impact on your audience. So stay proactive and whip your website into shape. Very soon eco goods will flood eccommerce market! For success of ecommerce, you need to monitor trends! I consider something genuinely special in this site…..